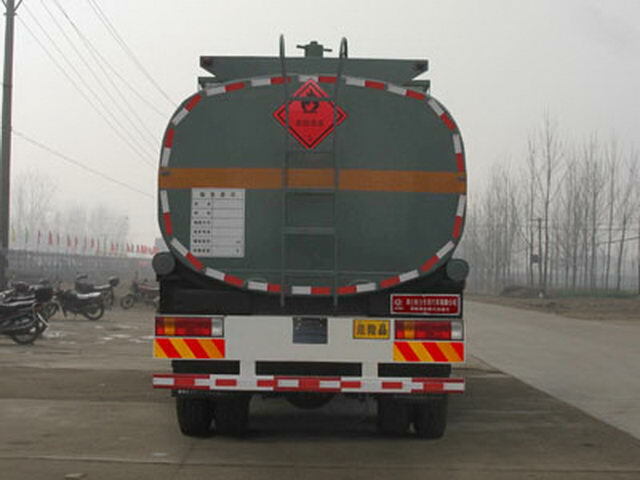 Transport medium name:Pentane;Medium density:603Kg/Cubic metre;Item No. :3;Effective volume of tank27.8Cubic metre;Tank size(Long x long axis X short axis)(mm):9200*2480*1650. 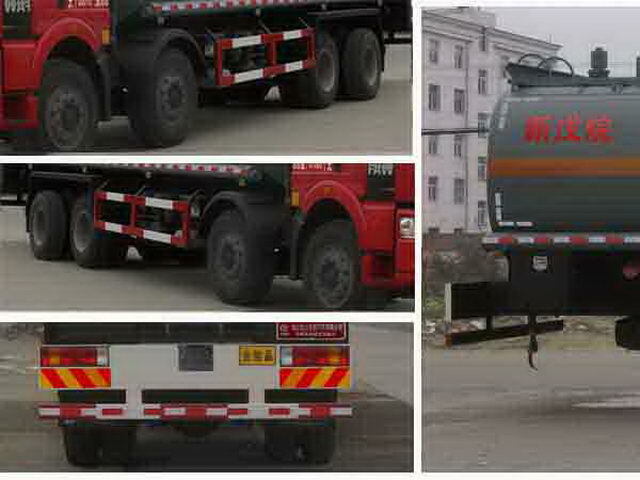 Wheelbase(mm) : 2100+4700+1350,The corresponding rear suspension(mm) : 2370;Wheelbase(mm) : 2100+4500+1350,The corresponding rear suspension(mm) : 2570. 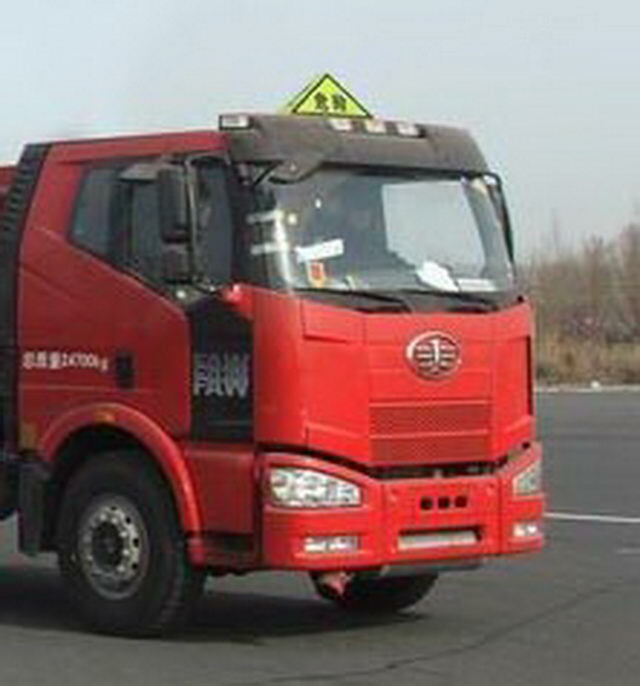 Protective material:Q235Acarbon steel,Connection mode:The left and right sides and the rear lower part are protected by welding connection,Rear section size(mm):100*50,Rear protection height(mm):520, Chassis with optional flat cab vehicle is high(mm):3150, Rated load quality 16000kgCorresponding quasi multiplication3people,16065kgCorresponding quasi multiplication2people, ABSSystem manufacturer:Changchun Comet automobile brake Co., Ltd.,Model:CM4XL, Installation complianceJT/T794-2011Satellite positioning system vehicle terminal, Vehicle traveling data recorder with satellite positioning function. 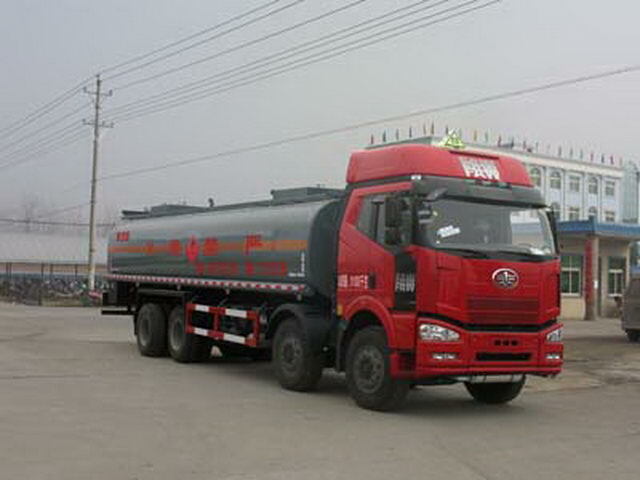 UseCA6DL2-29E4,CA6DL2-31E4,CA6DL2-33E4,CA6DL2-35E4Engine,The corresponding fuel consumption value is(L/100km):39.81,41.08,42.56,42.88,Radial tires and belts are used onlyABSChassis.